...a community-based campaign to build a more secure and resilient nation by getting people to understand what disasters could happen in their communities and to take action to increase their preparedness. Actions include signing up for mobile alerts and warnings, holding a preparedness discussion to emphasize the steps people should take to be ready should a disaster occur, and conducting a drill so people are familiar with what to do beforehand. In support, FEMA has set up an outreach website which includes resources that participants can use to be part of the disaster preparedness solution. You can find it here. OK, all well and good. Through these efforts the public pitch is about as good as it gets when trying to get John Q. Public off the couch and into the participation mode. But for those who would like to reflect on the "Why" behind such efforts, a few thoughts. As I have mentioned several times before on this blog, disasters have become more impactful as time goes by for several reasons, not the least of which is demographics. 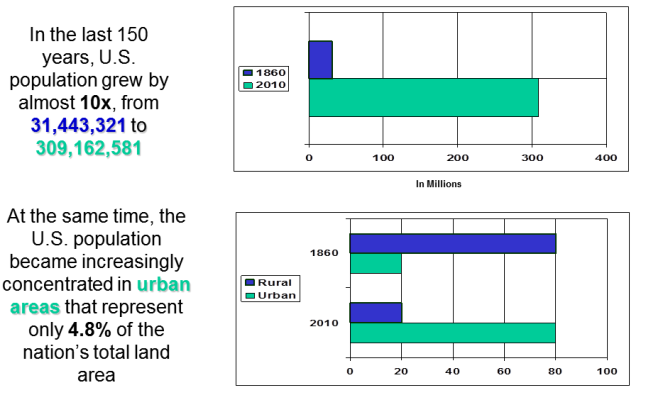 In the 150-year snap-shot shown in the lead graphic, the United States has gone from being a thinly populated, rural, agrarian nation to one that is now the world's third most populous, heavily dependent on infrastructure, and densely populated in areas where disasters tend to happen (e.g. Florida and California ). Indeed, the extent to which this dramatic change has occurred is probably best related using a 1848 pre-Gold Rush statistic from California. Non-native population of the San Francisco Bay area - 453; entire state population - 10,000. 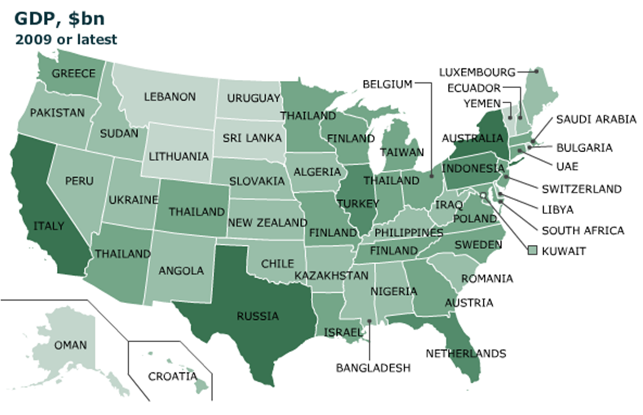 (You can watch 220 years of U.S. population change here.). Thus, efforts like PrepareAthon may seem dry and unexciting - but they are essential to reality that is now the United States. The better prepared we are as neighbors, the better prepared we are as a nation. Have a Great Weekend - Getting Prepared!